The objective of GiD Convention is to bring together users and developers of the GiD pre/post processing system in order to exchange ideas and experience on the generation of data for computer simulation and the graphic visualisation of numerical results. 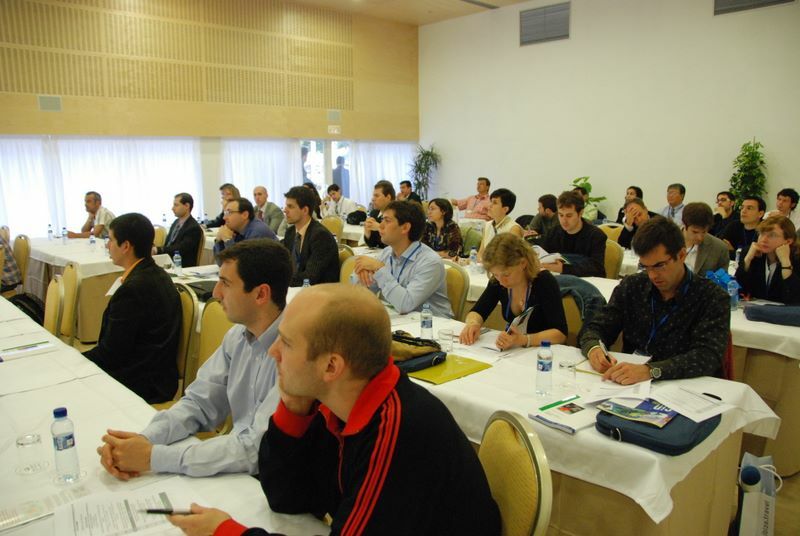 The event is organised in a convention format. The activities of the convention include a workshop where advanced topics related with pre, post processing and customization are discussed with the attendees, as well as courses on GiD and calculation modules connected to it. The 9th GiD Convention that was celebrated from 6 to 8 June 2018 in Barcelona was a success of participation. The meeting that is celebrated every two years, hosted a workshop with a full programme of conferences (18), attended by 60 people, and a complete list of courses (GiD basic and advanced, Kratos, Anura3D and GiD+OpenSees) that have been also very well welcomed by the participants. Half a hundred people have followed the different courses proposed by the GiD team on occasion of the 9th edition of this meeting that this year commemorated also 20 years of GiD as a commercial product. Also, during the event, it was presented the 14th version of GiD, recently launched to the market. The courses materials are available to download. Find more information regarding the new GiD v14 here. Check all the 9th GiD convention photos in the GiD website. The registration deadline for the 9th GiD convention has been extended to 1st May. The objective of convention is to bring together users and developers of GiD pre/post processing system in order to exchange ideas and experiences on the generation of data for computer simulation and the graphical visualization of numerical results. 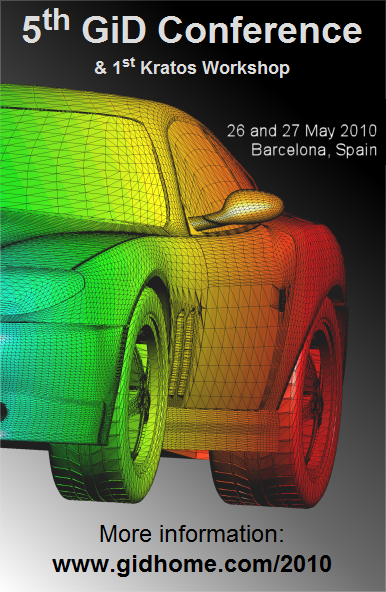 Join us during 3 days of workshops and courses about simulation. You also will have the opportunity to discover GiD v14, that will be launched that day. Remember that thee courses attendees will receive an exclusive 1 year GiD v14 professional licence. Don’t miss the opportunity and check all the information regarding the event here. See you in Barcelona next June! The 9th GiD convention on Advances and Applications of GiD will be held from 6th to 8th June 2018 in Barcelona. The objective of this event is to bring together users and developers of GiD pre/post processing system in order to exchange ideas and experiences on the generation of data for computer simulation and the graphic visualization of numerical results. Furthermore, the 14th version of GiD will be released in the frame of the GiD Convention, and its new features will be presented. One day will be devoted to workshop where advanced topics related with pre, post processing and customization will be discussed and, in the following two days, courses on GiD and calculation modules connected to it will take place. The courses attendees will receive an exclusive 1 year GiD v14 professional licence for free. You are welcomed to take part on the workshop and courses on GiD and simulation codes linked to GiD. Barcelona, 17 and 18 July, 2014. Just days before the 11th WCCM. The 6th edition of Convention on Advances and Applications of GiD has been celebrated in Barcelona last week. Users and developers had the opportunity to interchange their experiences on data generation, computer simulation and graphic visualization and discover the new GiD version 11. 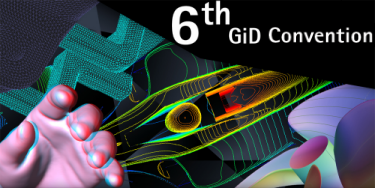 The objective of this sixth edition of the GiD Convention is to bring together users and developers of the GiD pre/post processing system in order to exchange ideas and experience on the generation of data for computer simulation and the graphic visualization of numerical results. Furthermore, the 11th version GiD will be released in the frame of the GiD Convention, and the new features of the new version will be presented. Several pre-convention courses on GiD v11 and simulation codes linked with GiD will be hold on May 10th. 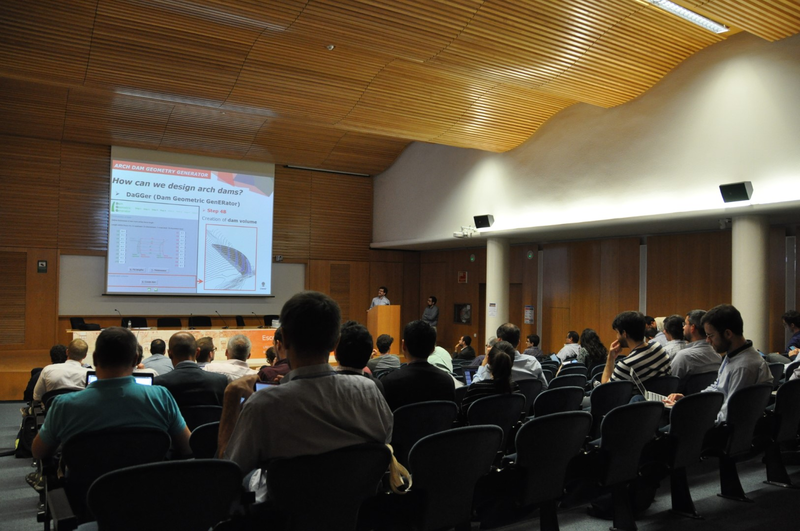 The 5th Conference on Advances and Applications of GiD has been celebrated two weeks ago. Users and developers had the opportunity to interchange their experiences on GiD and discover the new capabilities and improvements. Please find the presented Papers and some photos. 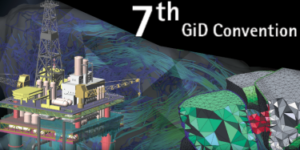 The objective of this fifth edition of the GiD Conference is to bringing together users and developers of the GiD pre/post processing system in order to exchange ideas and experience on the generation of data for computer simulation and the graphic visualization of numerical results. Several pre-conference courses describing basic and advanced features of GiD will be hold on May 25th. Acces to the Papers presented or see the Conference’s page.